As part of the pruning that even charter supporters say is expected in a city full of dozens of charter schools, four schools in New Orleans recently have been closed or assigned to new operators. Although the processes to make these changes have become somewhat more public, the decision to hand over public schools to a new management organization still is being made primarily behind closed doors. That’s because the state-created Recovery School District, which holds a tremendous amount of discretion over the assignment of public school buildings, doesn’t have to meet in public. Its administrators can hold private meetings, gather information and have discussions out of public view. Even the decision of whether to close a school entirely or to give it a new operator is opaque, as one frustrated community member told the state school board this week. Although charters are public schools run primarily with public money by a board that must operate in accordance with public-meetings laws, the selection process is private. The RSD operates under the authority of the Louisiana Board of Elementary and Secondary Education. The state school board approves the creation of new charters, but decisions on placement are left to RSD Superintendent Patrick Dobard. When the RSD wanted a find an outfit to run Sarah T. Reed High School in eastern New Orleans — one of the last schools directly run by the RSD — it invited two interested groups to make presentations to its reviewers, which did include select members of the community. But that meeting was closed to the public, and the district refused to make public the presentations. It’s not clear how or why the RSD chose to give Einstein Charter School control of the school in fall 2016. Still, the RSD is a public body and documents it produces are subject to the state’s public records law. And when the RSD first asked for proposals, officials included a scoring rubric to be used in the selection. So The Lens asked for the score sheets. “The only documents from that process were the applicants’ presentations,” she said. Deputy Superintendent Dana Peterson said it would have been unfair to the organizations to release the presentations because they did not know the documents would be public. However, both Einstein and the other applicant, Collegiate Academies, provided their presentations to The Lens upon request. But how the decision was made after Einstein and Collegiate made their presentation in December is known only to those who were behind the closed doors when the decision was made. In two other decisions announced this week, the scoring sheets were released on the RSD’s website, but the scores were not linked to a particular name, only ‘reviewer 1,’ ‘reviewer 2,’ etc. The RSD later provided the names of the reviewers upon request. In one case, scores show, the RSD selected a different school than the one unanimously favored by the reviewers. A third decision on control of John McDonogh High also was set to be announced this week, but a judge has ordered a halt in the process so the result hasn’t been announced. The RSD’s new process of selecting school operators was intended to let interested organizations apply, be known publicly, and deliver a presentation to a group of community stakeholders who would review them. The process of selecting charter operators became even more important this year when the RSD became the first all-charter-school district in the country, though traditional schools still operate in the city under the Orleans Parish School Board. The Livingston campus has a new $31 million building opening this fall, and it was supposed to house Miller-McCoy Academy. But the failing Miller-McCoy is closing at the end of this year because the struggling organization that runs the school relinquished its charter, leaving Livingston up for grabs. Collegiate Academies was awarded the rights to the school, even though each reviewer preferred the InspireNOLA organization. 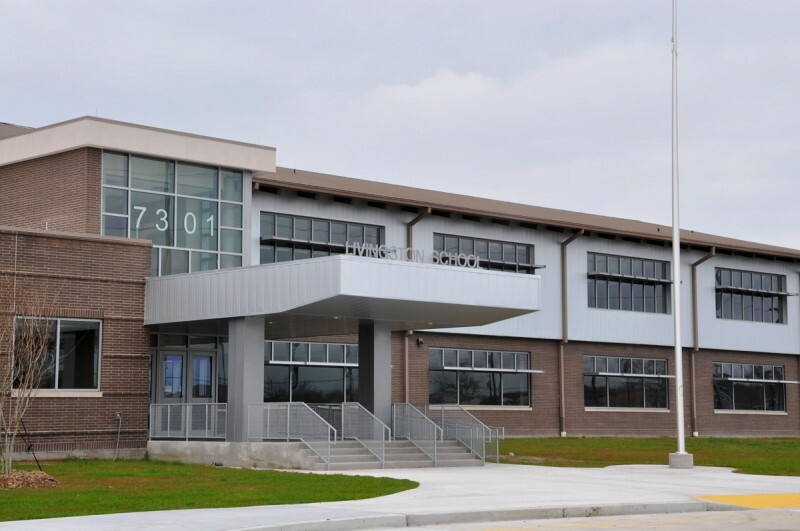 Instead, the district chose InspireNOLA to run another school, and officials said they didn’t think the outfit could handle two new schools at the same time. This summer, InspireNOLA will take over Andrew H. Wilson Charter School, an elementary campus in the Broadmoor neighborhood that continually posted failing scores since its founding in 2007. The state did not renew its charter, which will run out at the end of this academic year. Not every failing charter school meets the same fate, activist Karran Harper Royal pointed out at a state board of education meeting Wednesday. She asked why the RSD selected a new operator for Wilson while deciding to close Miller-McCoy, relegating the school name to the dustbin of history. The board listened, but offered no explanation. Hawkins said in an interview later that it’s because Miller-McCoy turned in its charter, while the state board took action to deny Wilson’s charter renewal.